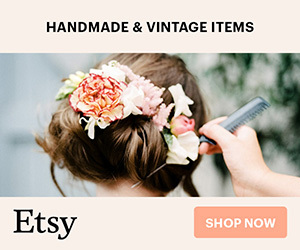 Beach Wedding Emergency Kit – Your Top Must-Haves! 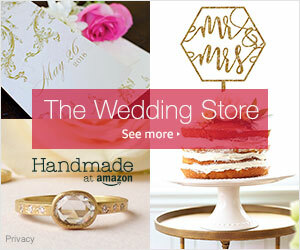 So you have reached the home stretch of your wedding planning and you only have less than one week to go! Everything is in place and you can’t think of anything else you would possibly need at this point. 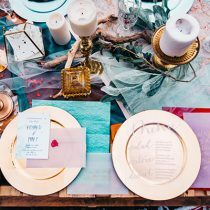 Before your last minute jitters set in, have you asked yourself about any last minute items you may need the day of your wedding? Unexpected things are bound to happen, and I rather you are totally prepared just in case than completely thrown off when something unpleasant pops up. 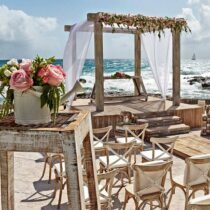 Your beach wedding advisor is here to save the day in advance! What bag are you rocking? 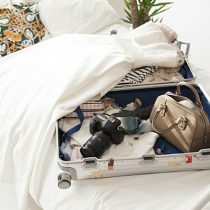 First things first: your beach wedding emergency kit bag must be fabulous! This is the bag that you will be carrying to your beach venue right before its time to walk down the sandy aisle, so you want to ensure that it blends seamlessly with what you have on. You always want to make sure it’s unique enough to be spotted when it’s needed at a moment’s notice. One part of your emergency kit should include a variety of pain-killers for tension headaches and other discomforts, Band-Aids just in case you snag your toe on a sharp seashell, and other over-the-counter medication that would help with calming allergies or a hangover the next day. To soothe your nerves, I suggest investing in a small bottle of lavender essential oil so that you can take a whiff when needed. Preserve the dress at all costs! The second section of your emergency kit should be solely dedicated to your dress. Anything can happen while you are trying to put on your flawless dress, so make sure you and your bridal party is prepared for anything! Safety pins, a travel sewing kit, and a trusty spot remover will guarantee an averted disaster. For your hair, you want to make sure you are just as prepared. Including additional hair pins, bands to tie your hair up with when needed, and spray to hold your hair wedding style so the ocean breeze won’t blow it in your face is essential for perfect pictures! You will be taking a ton of pictures that will have close-ups of your face, wedding ring, and bouquet, so you want to make sure that there are absolutely no blemishes present! Adding items like blot sheets, Q-tips and extra nail polish will help your face and fingers look absolutely stunning the whole day! No one likes a stinky bride! Remaining as fresh as possible throughout the day is something you want to be confident about. Make sure you pack deodorant, a few tampons, floss, mouthwash, and wipes in order to smell just as fresh as your bouquet! Last but certainly not least, you want to make sure that you have a bottle of water, a light snack to munch on, and a charged phone with its charger nearby. I’m sure that you don’t want to pass out from dehydration before you meet your man at the altar! With all of these tips, you are pretty covered with everything you would need just in case some things go awry. Even if half of these things are not needed, it is better to be safe than sorry!